LOOKING FOR PILGRIM SCHOOL INFORMATION? Sunday Mornings at Pilgrim - Join us! Receive a blessing. Begin anew in God's love. Saturday, April 27th - Party for Pilgrim! Join us for the best party of the year! Food, drinks, and great friends! Tickets are free, but we ask that you register. Great tickets will be available, including: Bears, Cubs, Sox, Northwestern Football, Jurassic World Live Tour, Second City, and Hamilton, The Musical! Please join us Sunday, June 2nd, 9:30 a.m for a joyful worship service and a luncheon to follow. 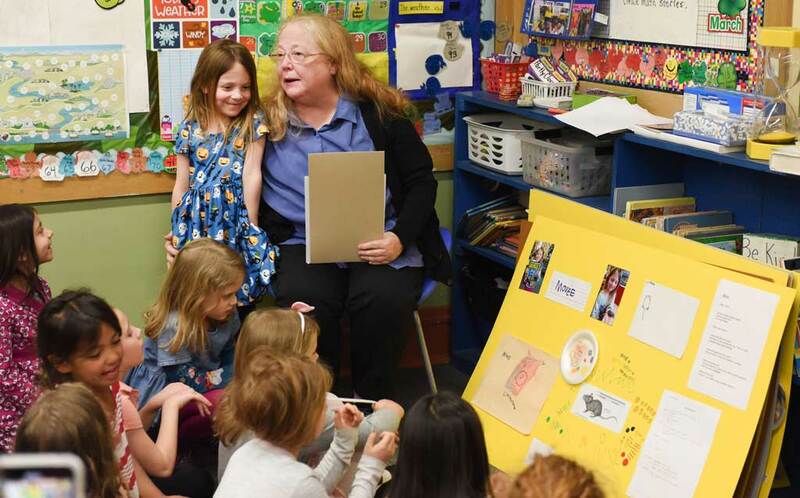 Please join us in thanking Mrs. Halter for her incredible impact as our Kindergarten teacher for so many years! Welcome to people from every religious tradition and no religious tradition. Welcome to people of every age and size, color and culture,every socio-economic and marital status, political and philosophical conviction. Welcome to people of every sexual orientation and gender identity, ability and challenge. Welcome to believers and questioners, and questioning believers. In Christ's love, we Gather, Prepare, and Send all as leaders for God's mission in the world (GPS). Pilgrim is partnering with CLEF to replace the 30 windows on the west side of the building! 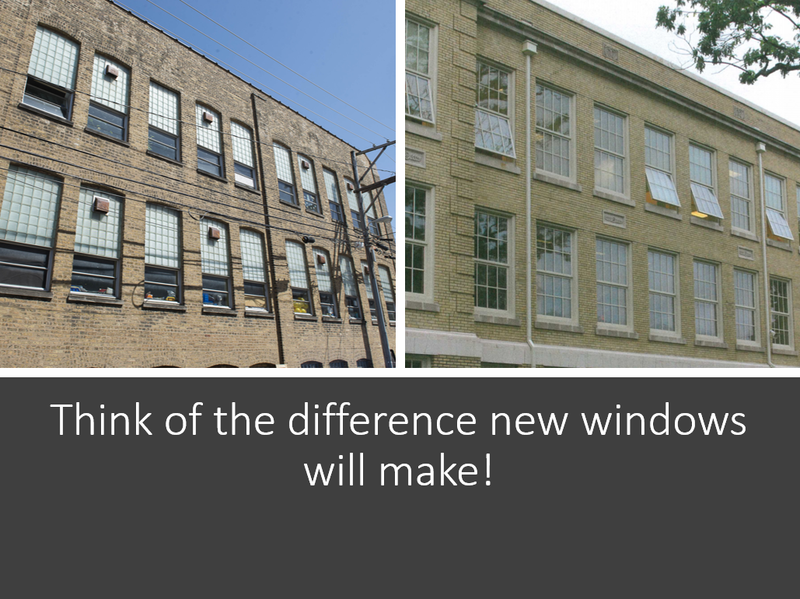 Window replacement would make a significant improvement for our students' learning environment. Click to find out how YOU can help! My family and I love it here at Pilgrim! I've been blessed to serve as Pastor here since November of 2012. Originally from Minnesota, I graduated from St. Olaf College in Northfield, MN as a Music Major and received my M. Div from the Lutheran School of Theology in Chicago. 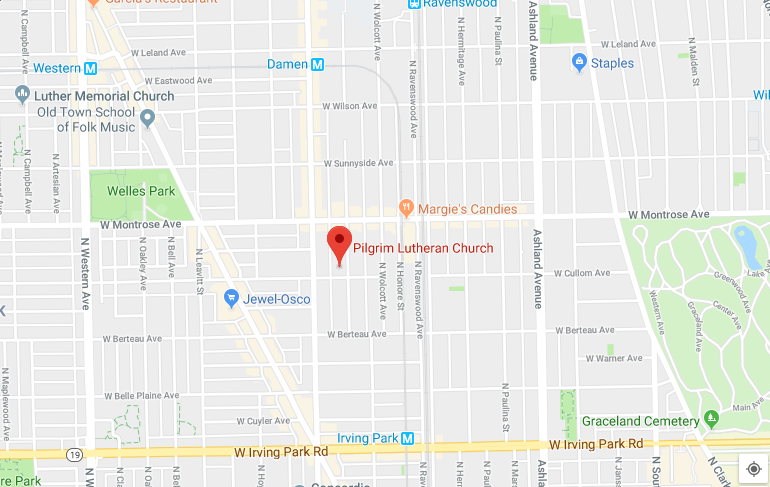 Before coming to Pilgrim, I served as a youth minister on the north side of Chicago for five years, and have spent significant time learning and serving among Christians in Tanzania, East Africa and El Salvador, Central America. I served my first call as Pastor of First Lutheran Church/Iglesia Luterana Mi Salvador in Inglewood (Los Angeles) CA for six years, and helped the congregation triple in size and start a ministry in Spanish. My hobbies include: tuba, basketball, camping, and traveling. I am blessed with an amazing family! My wife is also an ordained Pastor in the ELCA named Pastor Anna-Kari Langseth-Johnson. 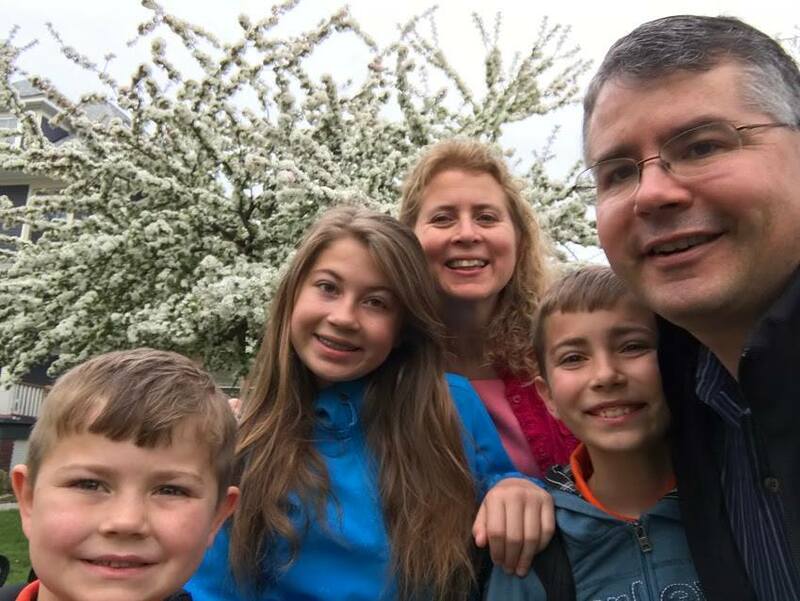 We are blessed with three kids: daughter Hope (14), son Emanuel (11), and son Xavier (8). Ravenswood / North Center neighborhood. By the Montrose Brown Line. 1 Peter 5:2 - Be shepherds of god's flock that is under your care, serving as overseers -- not because you must, but because you are willing, as God wants you to be. We want to connect with people like you. Here's what's happening at Pilgrim! Click below to read our most recent newsletters and messages. Join us for the best party of the year!